There are many residents in and around the Snohomish County area that have a septic system on their property. 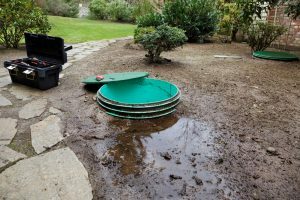 When this is the case it is important to have a good septic repair service in Snohomish County that you can turn to whenever you need maintenance, repairs or replacement. This is where Schleg Valley Construction can come in with any of the work that you may need doing. When you want to be sure that your septic system is going to last for a long period of time, you need to have someone by your side that you can trust to take care of any issues that arise. Not only does Schleg Valley Construction have the skills and expertise to provide septic site planning and installation, but we are also available for all of the pumping, maintenance, and repairs that you require. The goal of any septic system is to help with the removal of wastewater from the home while also working to keep drinking water safe. The septic helps to filter various contaminants from the household waste and keeps them from getting into the groundwater supply. The human waste solids are kept in the septic tank and then pumped out from time to time. When it comes to any household chemicals, they are removed through what is known as a leaching process. When you call us at Schleg Valley Construction, we will be happy to come out to your location to deal with any potential issue that you may have with your home septic system. Should you find yourself in an emergency situation, we will be happy to send someone out right away so that we can take care of your problem as soon as possible. It is important to work with professionals when looking for a septic repair service in Snohomish County. Call Schleg Valley Construction at (425)312-6750!